From the spacious guestrooms to their three swimming pools and modern fitness centre, this Kissimmee resort provides fun and comfort in a family-friendly environment just a short distance from Walt Disney© World's main gate. Maingate Lakeside Resort offers all-ages amenities like 18-hole miniature golf and two half-court basketball courts in such close proximity to a host of exciting Orlando adventure destinations. Located 9 miles from Fort Pierce Inlet State Park, Best Western PLUS Fort Pierce Inn features a heated outdoor pool and jacuzzi. Guest rooms offer cable TV with HBO. Rooms are equipped with microwaves, refrigerators and coffee makers. Located in Miami Beach, this hotel features Mediterranean architecture and a jacuzzi. The hotel is a 15 minute walk from South Beach and guest rooms include Spanish tiled floors. Offering stunning views of Monterey Bay, a full-service spa and a private beach, this hotel is located only steps from Cannery Row and 3 blocks from the Monterey Bay Aquarium. Monterey Plaza Hotel & Spa features a rooftop fitness centre. This Jacksonville all-suite hotel is located just off Highway 95 and features spacious suites with a separate living area and free Wi-Fi. Facilities include an outdoor pool and on-site fitness room. This small hotel is located in Fort Lauderdale, Florida within walking distance of the beach. 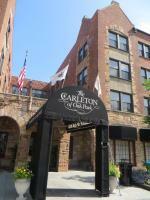 The hotel offers free Wi-Fi and a spacious outdoor pool area. Minutes from Port Everglades cruise terminals and Fort Lauderdale International Airport with free shuttle service, this hotel provides thoughtful amenities, comfortable rooms and on-site dining options. Nestled on 15 acres of tropical landscape and minutes from Walt Disney World, Champions World Resort is an affordable family-friendly hotel featuring three pools, sports fields, dining, barbecue & other great amenities. There is also a free shuttle service to Walt Disney World and provision of a variety of modern amenities. One bedroom suites with over 650 sq. ft. of space. All suites sleep up to 6 people and include a private bedroom, living room with Murphy bed, large kitchen with full-size Refrigerator, Coffee maker, Dishwasher, microwave, 2-Burner Stovetop, 2 TV's with free HBO. Located in the Kissimmee Old Town Shopping & Entertainment Complex. The Rosen International (formally Quality Inn International), located on the world-renowned International Drive in the "Heart" of sunny Orlando, Florida is the ideal choice, perfect for Florida vacations and family travel. This Florida hotel offers free shuttles to Universal Studios, just a 5-minute drive away, Sea World and Wet-N-Wild Water Park. It features outdoor pools and contemporary rooms with free Wi-Fi. This Daytona Beach motel is within a 10-minute drive of the Daytona International Speedway. 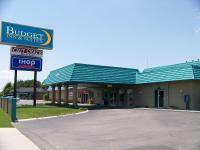 The motel offers barbecue facilities, picnic area and rooms with free Wi-Fi. Americas Best Value Inn Daytona Beach rooms include a microwave and. This hostel is located in St. Augustine, Florida near the historic district and features a private deck and a double kitchen. It is less than one mile from Flagler College. Casa Yallaha St. Augustine was built in 1880. This hotel is located 3 miles from the Jacksonville International Airport and offers free scheduled airport shuttle service. It features an outdoor pool with a hot tub and accommodation with free Wi-Fi.